The AC12 EQ is part of the AC Global asset and equipment tracking line. While the device requires a power source, it does contain an internal back-up battery. 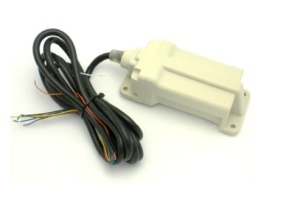 The AC12 EQ can be installed on any asset that contains a 12- or 24-volt power source. The device is built to withstand harsh environments and can function in up to 39 inches (1 meter) of water. Its cellular and GPS antennas are completely integrated. The AC12 EQ is supported by our three year manufacturer’s warranty.